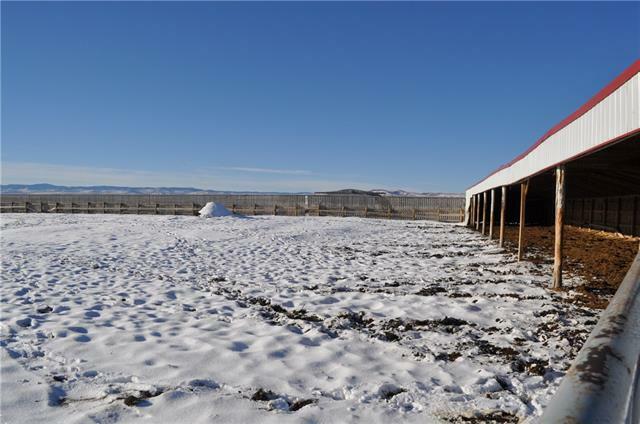 Two stacked 80 acre parcels running east and west 2 miles west of Claresholm with paved access.The highlight of this property is a 1000 head capacity steel corral backgrounding feed lot with handling facility and hydraulic squeeze. Silage pit with asphalt floor 2200 - 2500 ton capacity. Solid infrastructure. No shortage of water. There is an associated water permit for up to 895,000 gallons piped from Pine Coulee. Land is mostly cultivated and seeded to hay and grass. Fencing/cross fencing. 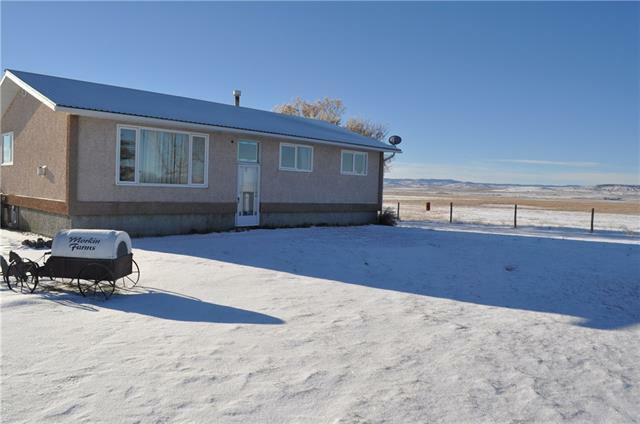 Renovated 1134 square foot bungalow on site featuring a large kitchen and living room, 3 bedrooms, 1.5 bathrooms, and a sizeable mudroom. 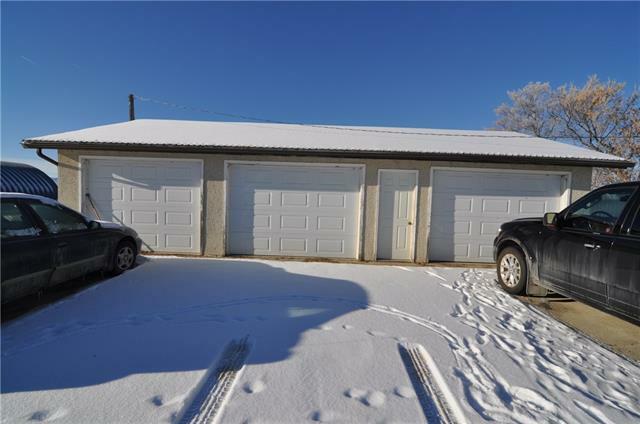 Partially finished basement offers a bedroom, new full bathroom, rec room, laundry, and ample storage.Many outbuildings including triple car garage. (South boundary not fenced). **Please note: Parcel is for sale on its own or with listed parcels MLS C4218683 and C4218684. The three parcels together total 1743.51 acres and would form a complete and productive ranch operation. Listing provided courtesy of Hansen Land Brokers Inc.. © 2019 CREB®. All Rights Reserved.